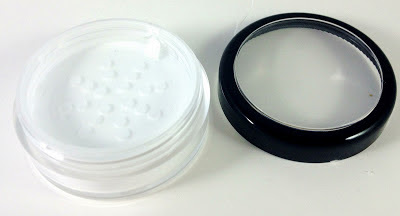 Today I will teach you how to replicate exactly Make Up For Ever's HD Microfinish Powder for under $10. Yes, you read that right. Less than $10 bucks for something that costs $39 for .3oz at Sephora. I recently got into makeup when I started winning a few nice makeup items in nail contest. I wanted to learn how to use the stuff properly so I started experimenting. I immediately started drowning in the quagmire of quicksand that is makeup products. Primer, what the heck does that do? Foundation, does that go on first or do I put it on last? Is there even a difference between concealer and foundation? Primer Potion just for my eyes, what, I thought I already had a primer? You can see where I was confused. Like Jon Snow, I know nothing. Well it's been about six months and I think it's safe to say I've become pretty confident with my makeup skills. I mean, I'm no makeup ninja, but I have figured out a nice routine to make myself look presentable and have a firm grasp of the products I like. I've managed to spend every cent of my paychecks over that time frame to build a nice cosmetic army. The one thing I've been missing is a nice finisher. A finishing powder or setting spray do some of the same things. After you spend three hours on your makeup the last thing you want is to go out for the night, have an allergy attack and end up rubbing off half of your makeup while trying to protect people from your sneezes. Finishing powder or setting spray will keep your makeup in place and protect it so you get long lasting wear. Finishing powder, as an added bonus over setting spray, will also absorb oil and moisture throughout the wear and set into pores and fine lines making them almost invisible. You can see why there was quite a clamor when they started hitting the market. I always do my research before buying. I scanned messaged boards, reviews on Sephora, magazine 'best of' articles and asked my dog her opinion before I settled on Make Up For Ever HD Microfinish Powder as the winner. Not only did it have some of the best reviews and multiple awards but applying it softens skin for a 'photoshopped' effect, it minimizes imperfections, it is universally translucent and will work on any skin tone, it absorbs oil and moisture, it gives a matte effect for no more shine and it can be worn alone on bare skin or over makeup to keep it in place. So you can understand why this stuff is $39 for .3 oz at Sephora. But heres the kicker, Make Up For Ever HD Finishing Powder is 100% finely milled, mineral silica powder. Silica is a crystal that grows naturally in the earth...you may know it more familiarly as quartz. All this stuff is is ground up quartz crystals! This isn't gold dust we're talking about so why is it so expensive?! You can get this stuff from mining quarries for $80 a ton....A TON....and we are paying almost $40 for less than an ounce! There are some issues with buying silica powder. 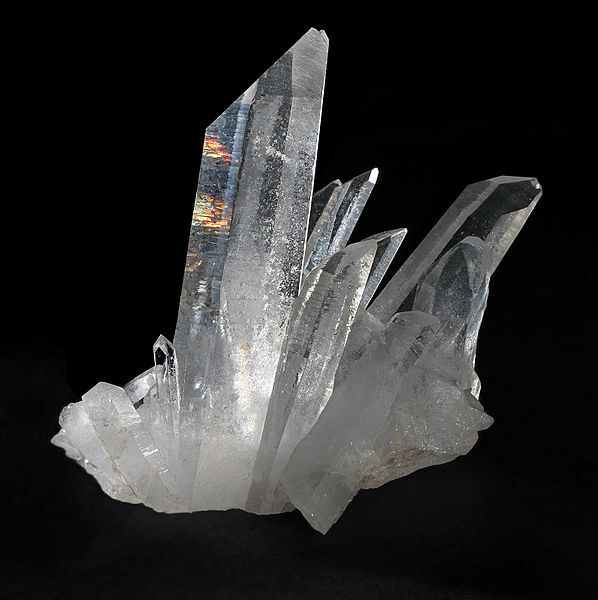 Scolicosis has been linked to crystalized silica particles. That makes it important to make sure you are buying cosmetic grade silica powder NOT crystalized silica particles. I found exactly that on Coastal Scents! 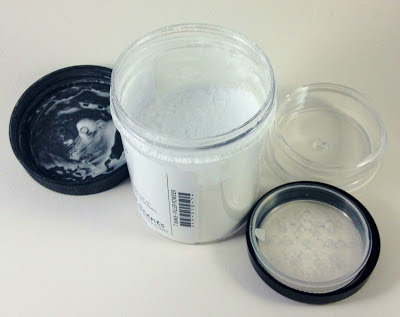 Coastal Scents has a lot of makeup supplies to help you make your own from scratch and they have been carrying silica powder spheres for cosmetics for awhile now. Usually these go into foundation to help mattify it and absorb oil. You can buy a 1 oz. container for $4.75. Compare that to Make Up For Ever's $39 for .3 oz! Costal Scents also has sifter jars (I bought the 20 gram size $1.08, you could go bigger or smaller). Add shipping to NY and my total was $9.88. This pretty package arrived today! There is the 1 oz. 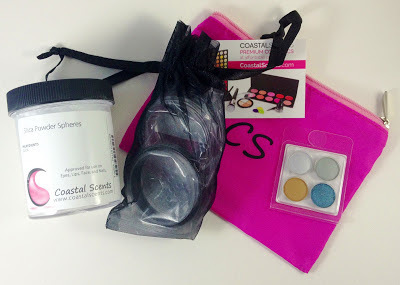 Silica Powder Spheres in a jar, my sifter jar carefully packaged and in a nice black drawstring bag, an extra little pink makeup bag with CS they threw in along with a sample of four of their eyeshadows in a mini palette. Thanks Coastal Scents! Ps - shipping was super speedy. The silica powder is extremely finely milled. Just unscrewing the jar lid sends up a puff of powder. To be safe I would repot this outside or using a mask. Yes, this is the safer version of silica but it's never good to breath in fine particles like this regardless of what it is. The sifter jar comes in three pieces the base, the sifter separator and the lid. Now your ready to repot! Use a small spoon to fill the base of your jar. And by fill, I mean no more than halfway. I actually have too much in here in the picture. When I applied the sifter part there was a little white cloud I was lost in for three days and had to find my way out of. Added bonus, you will have so much left in your 1 oz. jar you can refill the sifter whenever you're low! Seriously, this is like a lifetime supply of finishing powder. Now you press your sifter separator onto the lip of the jar hard until it clips on. Lift up the sticker covering the sifter holes and screw on the lid, all done! 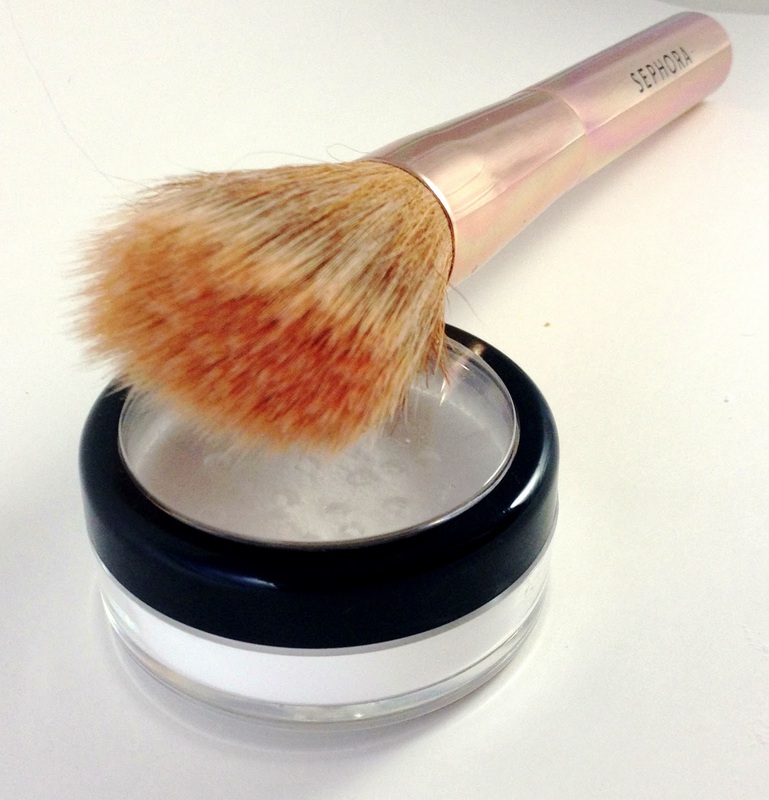 Now you're ready to use a fan or finishing brush to apply your finishing powder after your makeup routine. A little goes a long way so just dip your brush into the jar, tap it on the edge to get rid of excess and lightly brush it over your entire face. And voila! I just saved you a ton of money. This isn't even a dupe for Make Up Forever HD Finishing Powder, it's the exact same thing. You can send all that excess cash via check to my address. Just kidding, you guys are polish addicts. I'm sure you'll have it spend on the new summer polish collections before you can blink twice. I've been wanting the Microfinish Powder forever. Just recently bought the NYX one and really like it. Thank you for all the great info. I'm a little inept at makeup but love that I can use a finishing powder over sunscreen when I'm out at my boys games or whatever and it takes away the greasy shine. I particularly enjoyed the visual of you lost in a little powdery cloud for 3 days. Thank you for this! I will totally get on it; I use setting spray to make my powder foundation look more natural, but I do get shine as a result, so this is perfect!! Thank you for this information, this is great! I'll definitely look into this. I'm North of the border so I don't know what shipping would be like, but at least I know what to look for. This is awesome. Thanks for posting the information!! This is awesome!! I currently use the M.A.C one, but find in photographs it's comes up visibly whiter - do you find that with this? I tend to powder over the top with a face powder so I avoid this.. Have you any other suggestions?